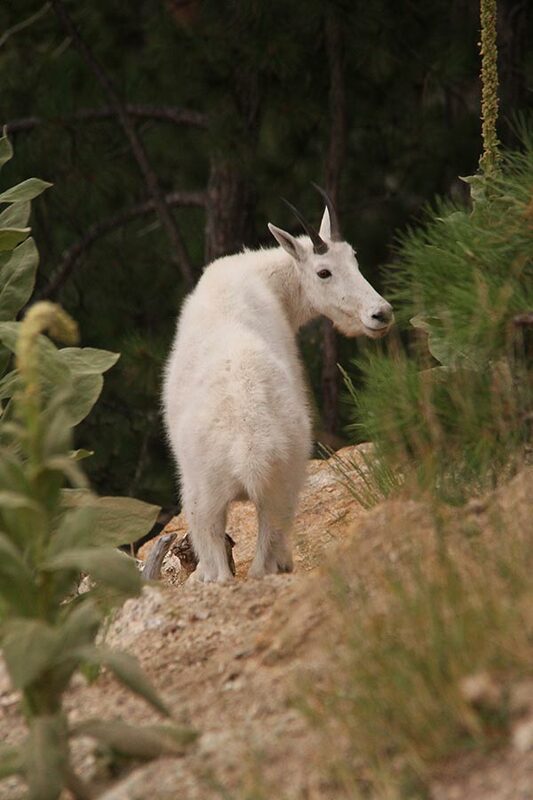 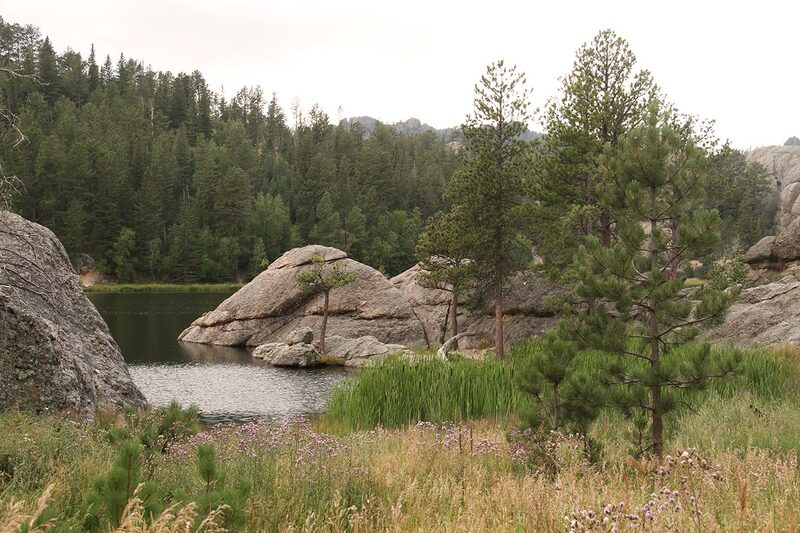 In the Black Hills - Where is frenchie? 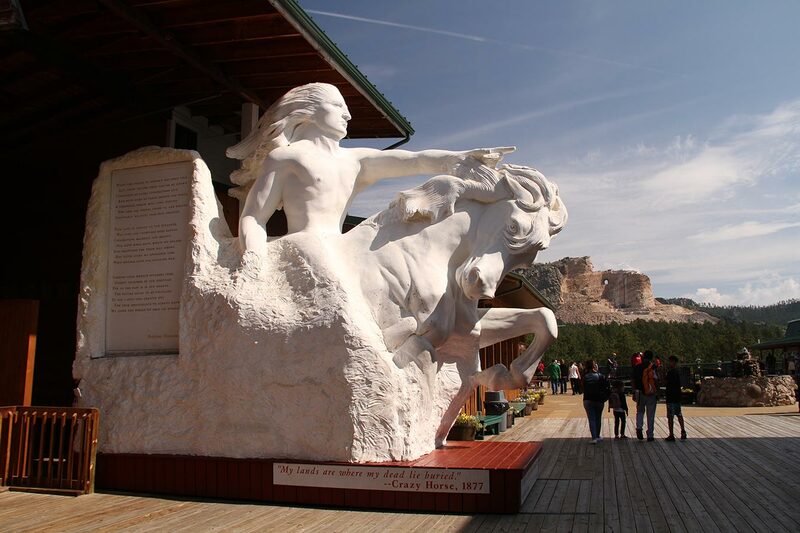 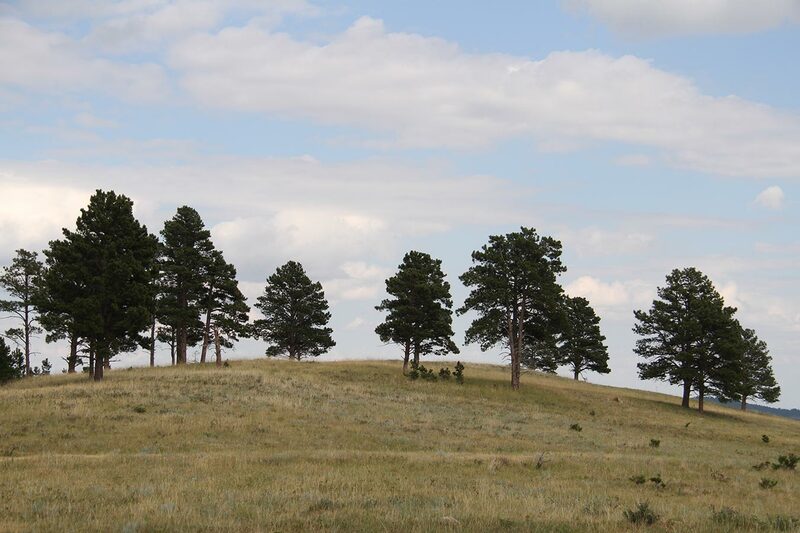 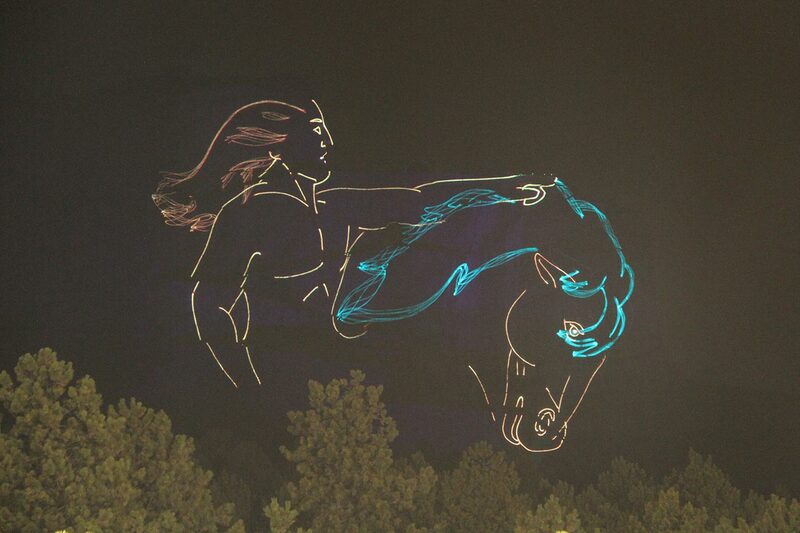 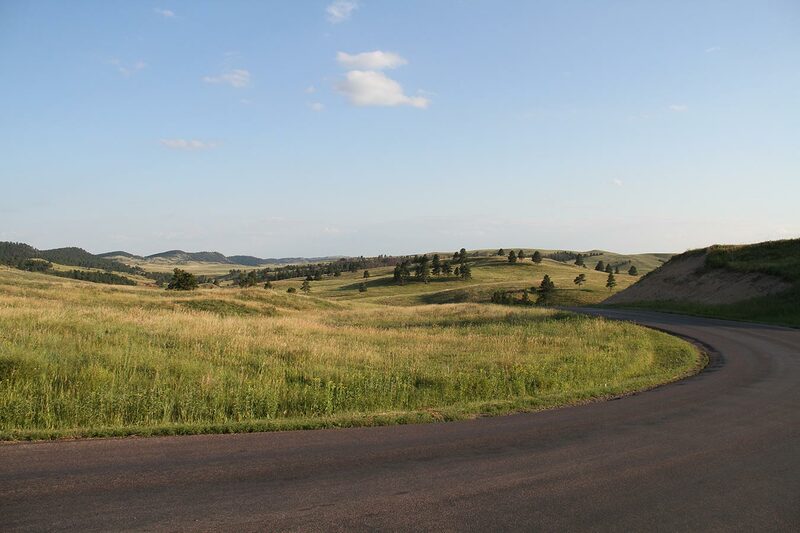 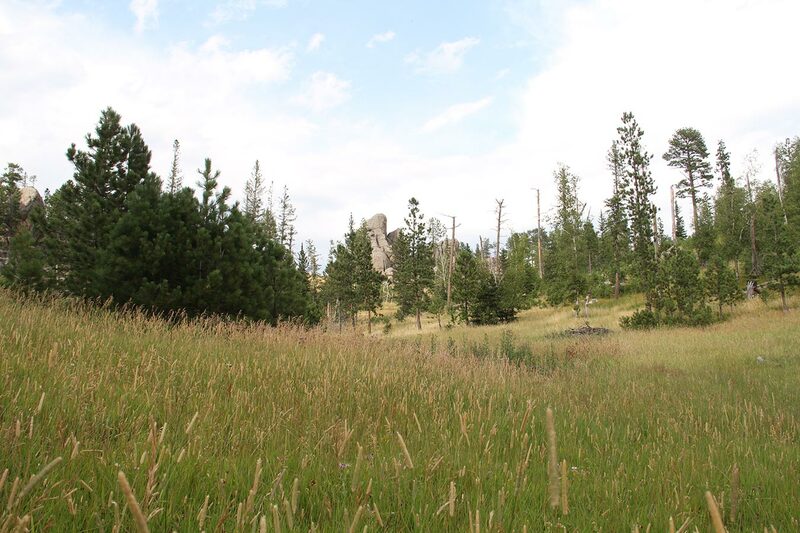 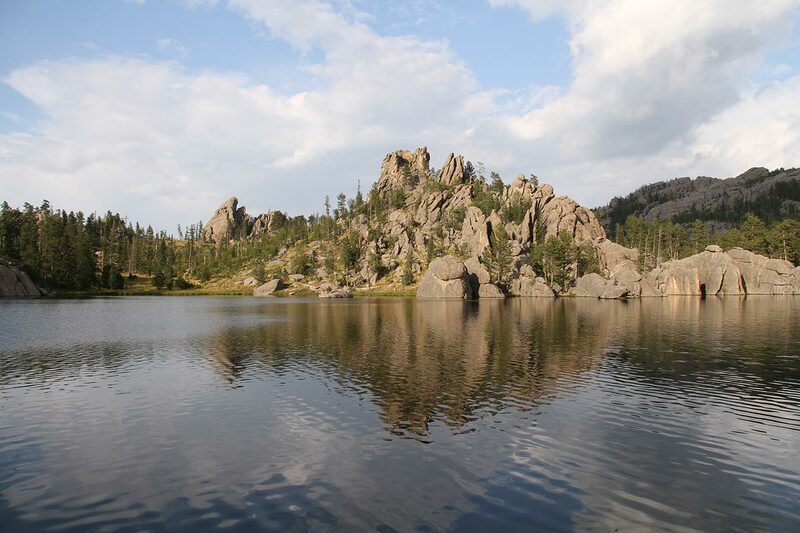 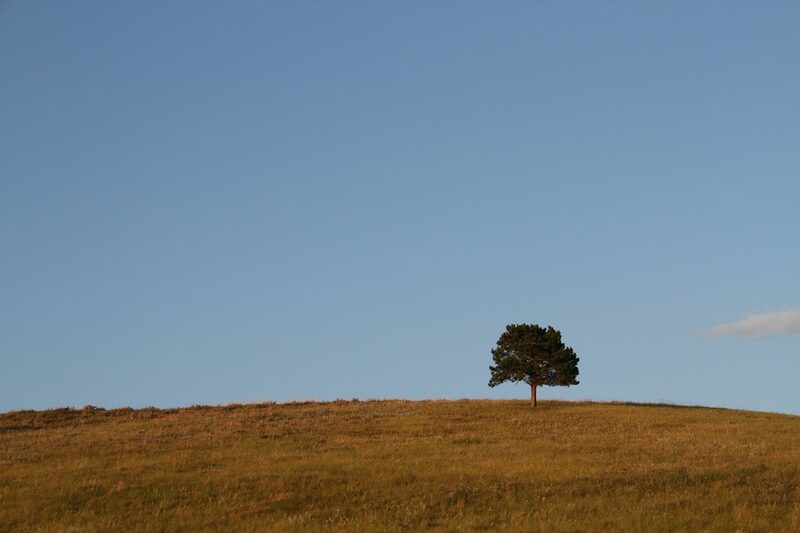 The most famous monument in South Dakota is in the heart of the Black hills. 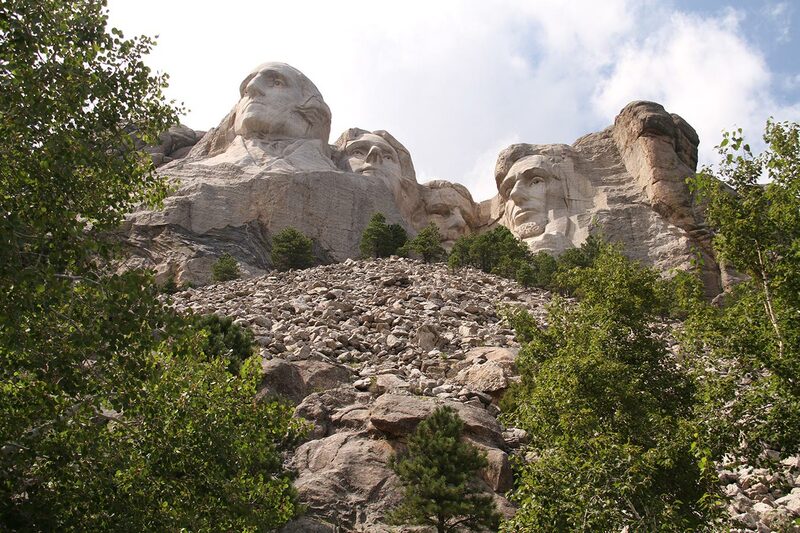 Work on Mount Rushmore started in 1927 and finished in 1941. 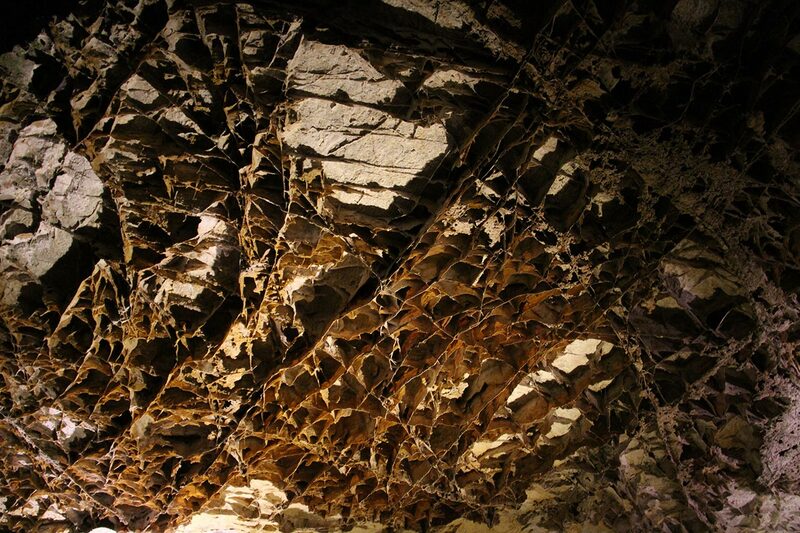 90% of the sculpting was done with dynamite, blasting as close as 3 inches from the final layer. 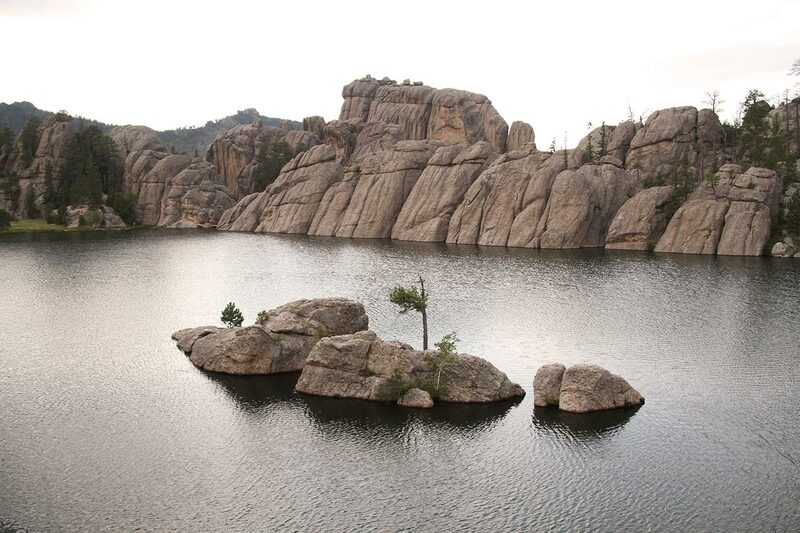 Engineers had to go deep in the rock, through the first soft layer to reach the solid granite. 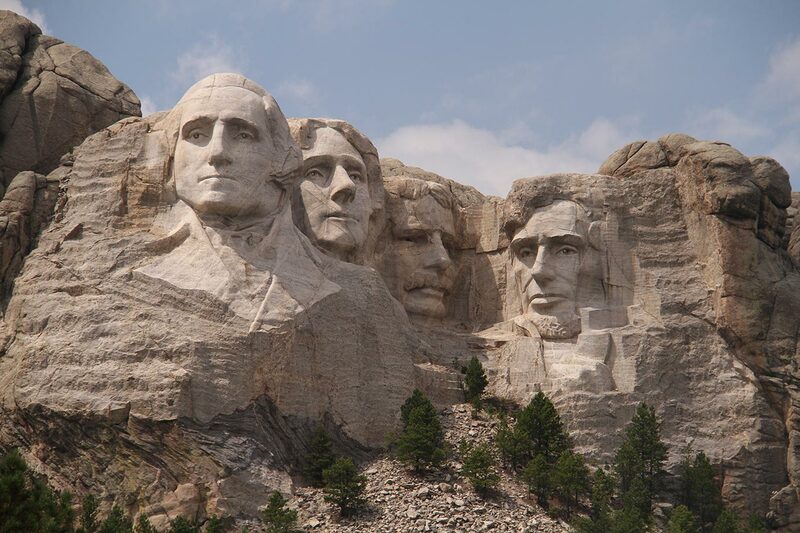 Washington (on the left) was the first to be done. 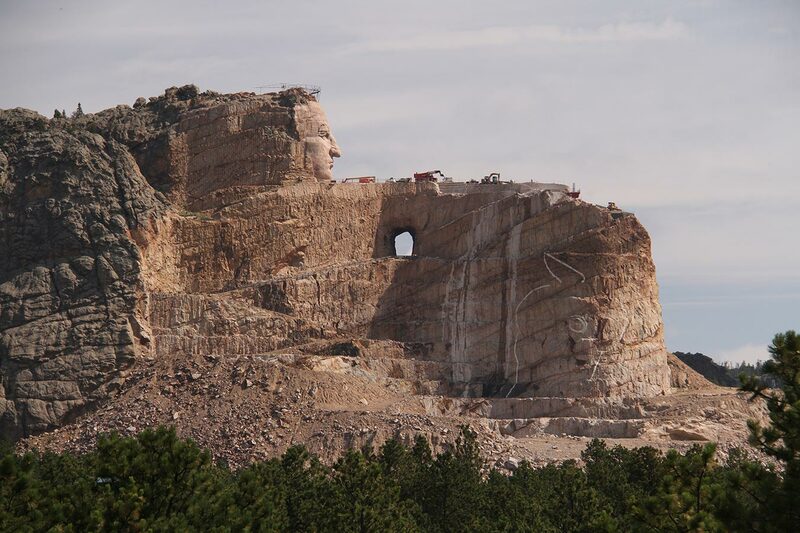 Jefferson was meant to be on the left but apparently the sculptor Gutzon Borglum wasn’t satisfied with it, blasted it, and did again on the right side. 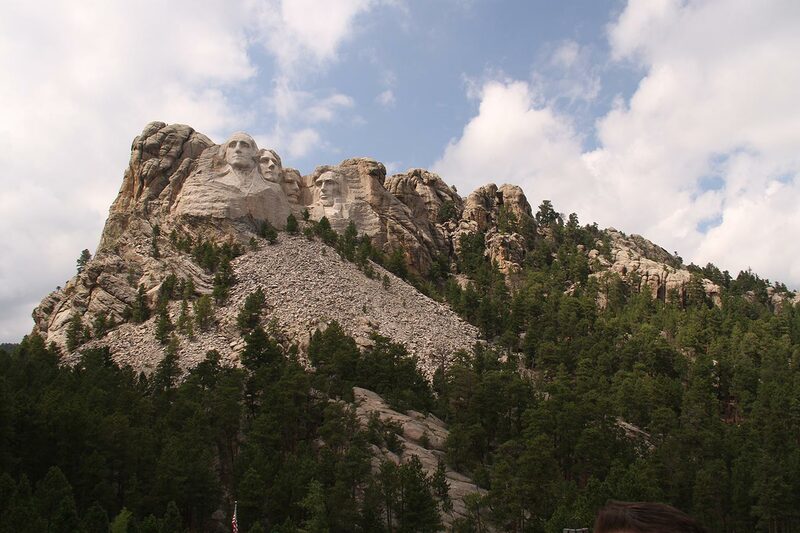 The third president is Theodore Roosevelt, and the last Abraham Lincoln. 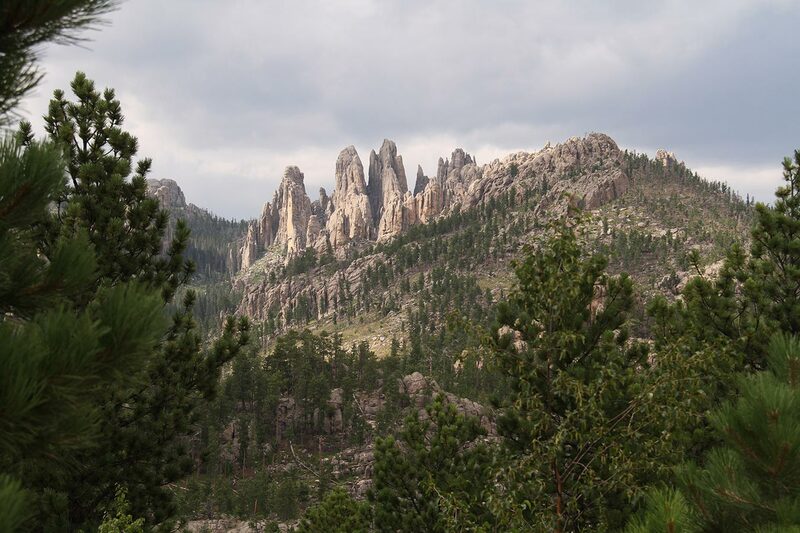 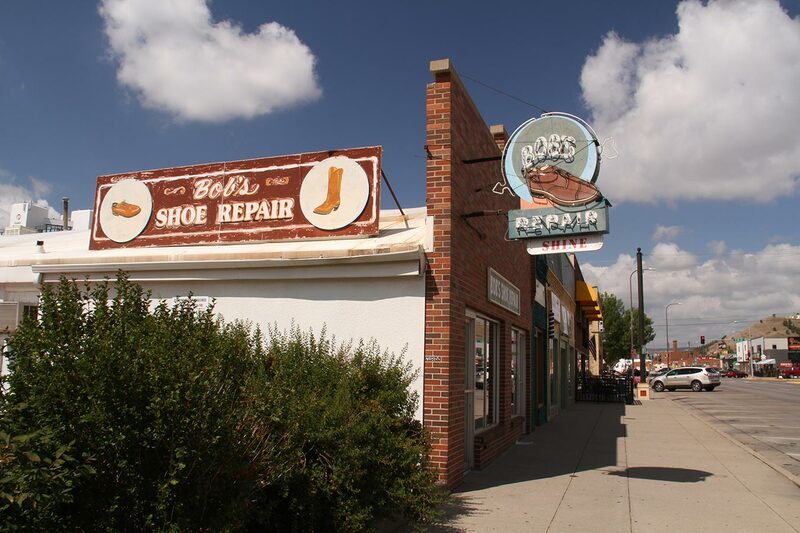 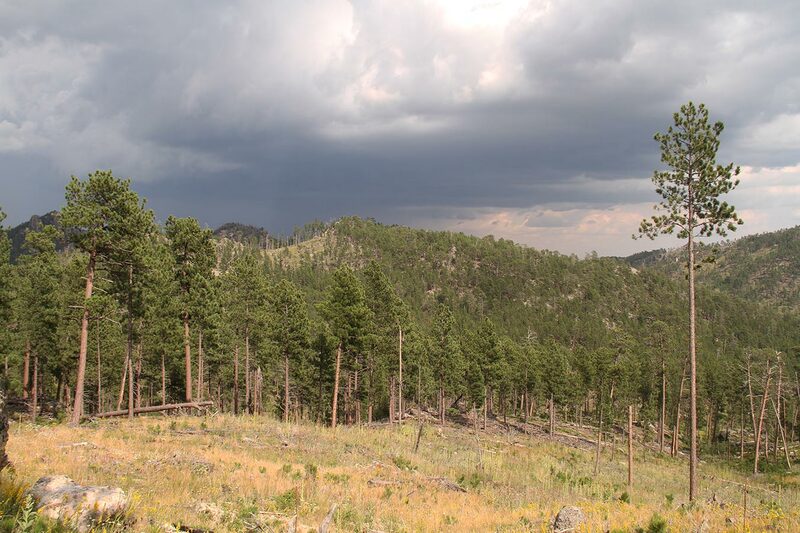 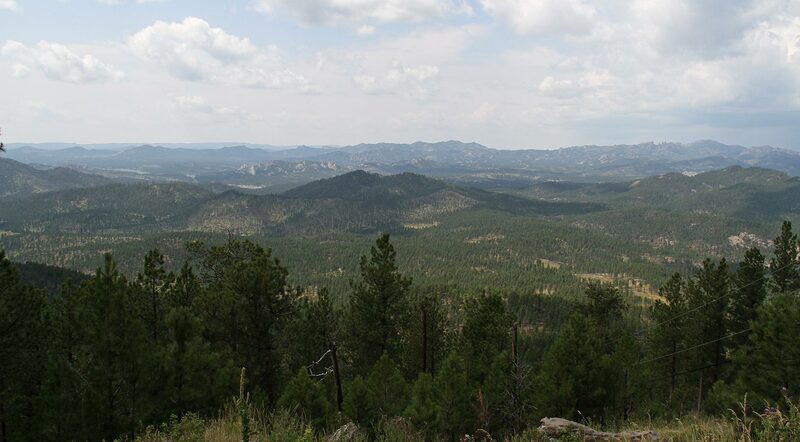 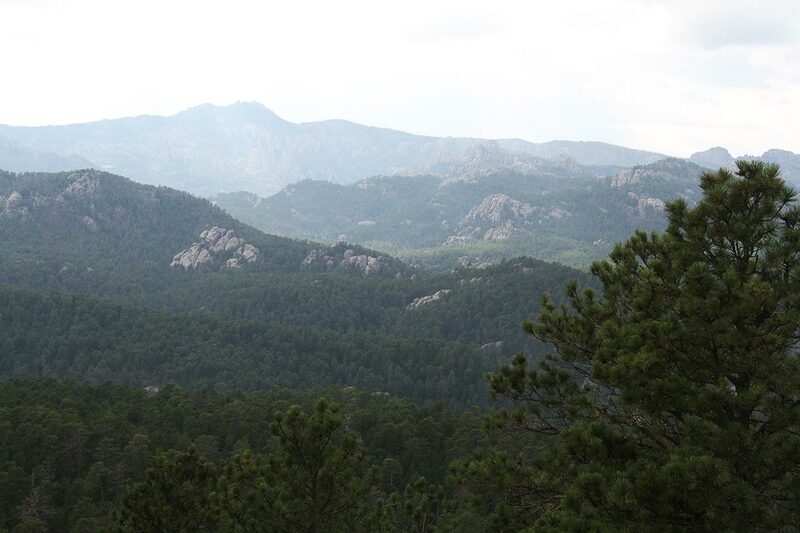 The Black Hills area has been polished to be a big tourist destination. 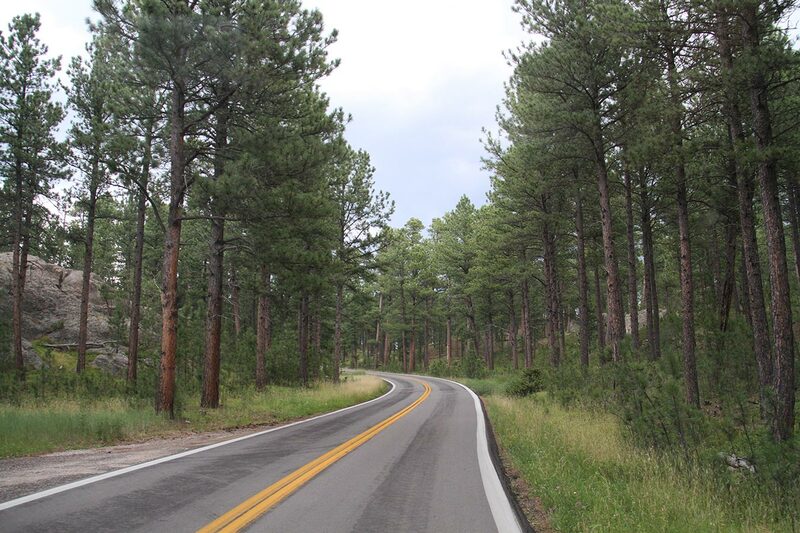 The state governor Peter Norbeck pushed for it and designed scenic drives himself. 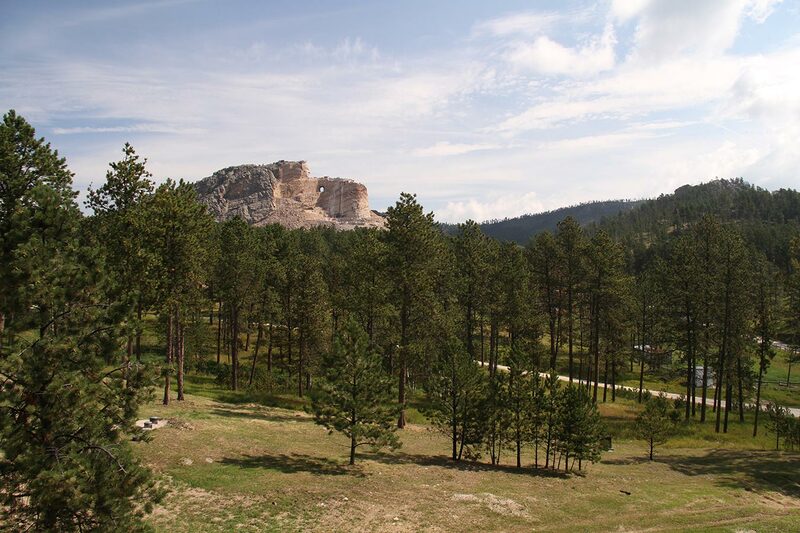 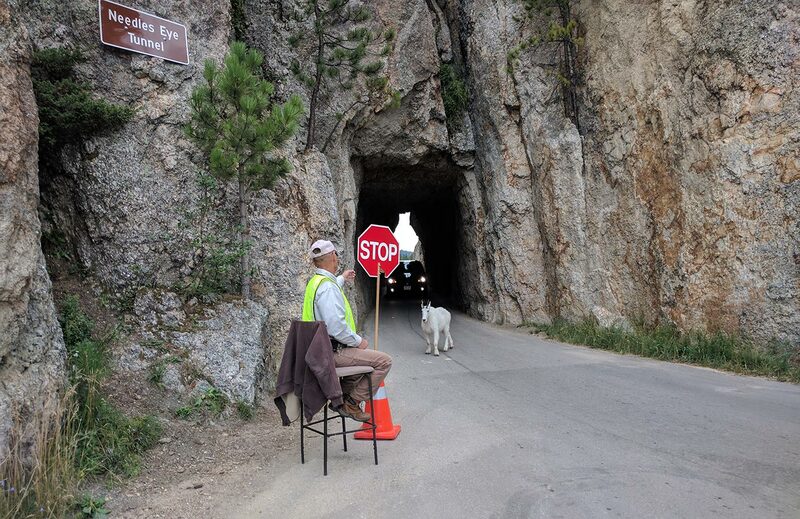 The Peter Norbeck scenic byway has been made to be a slow drive with tunnels framing mount Rushmore. 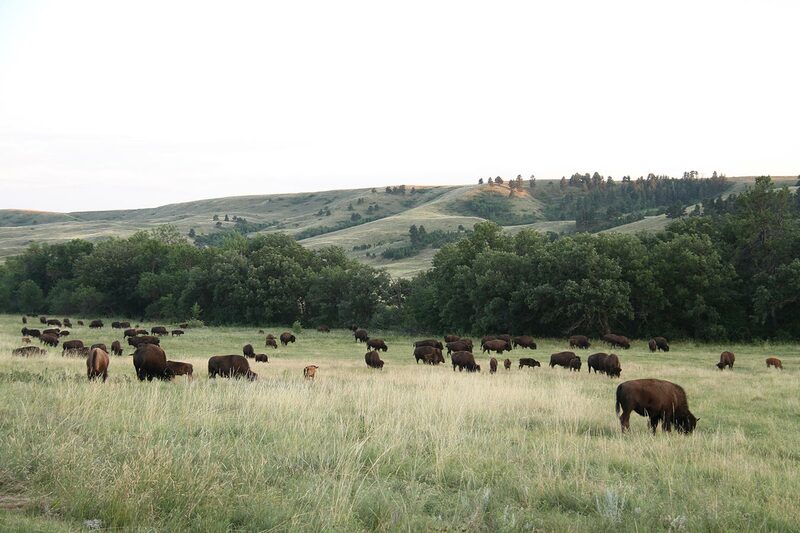 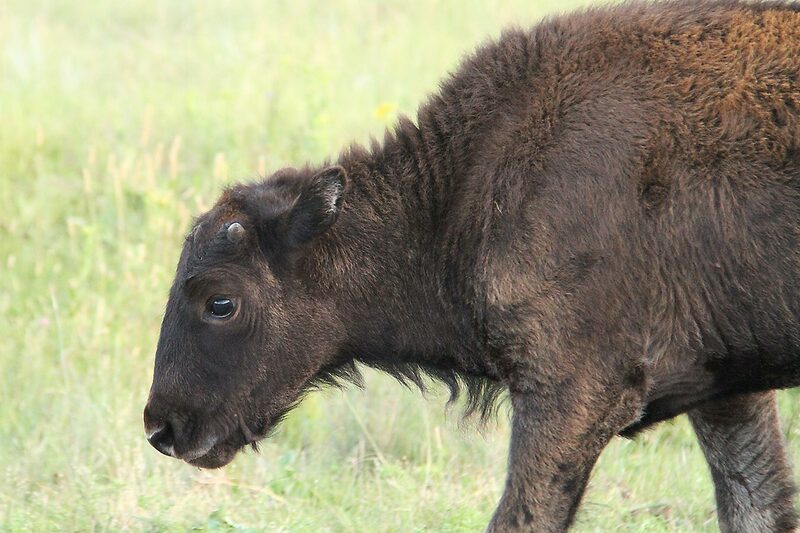 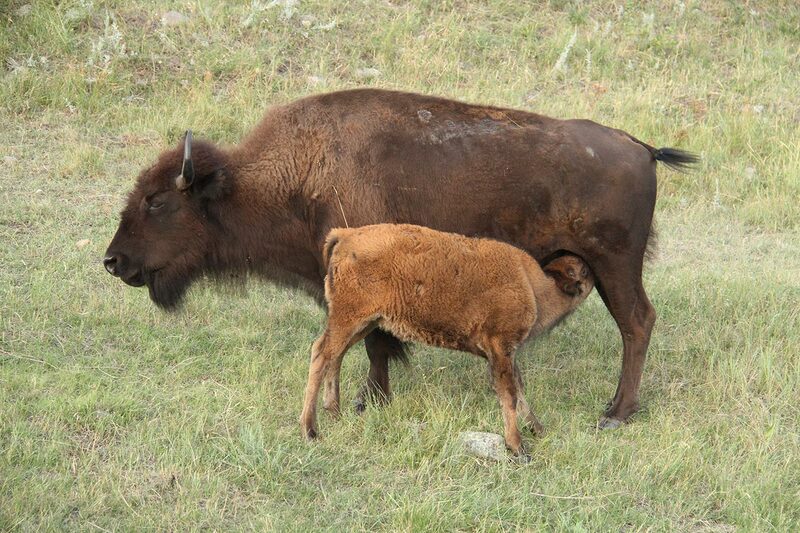 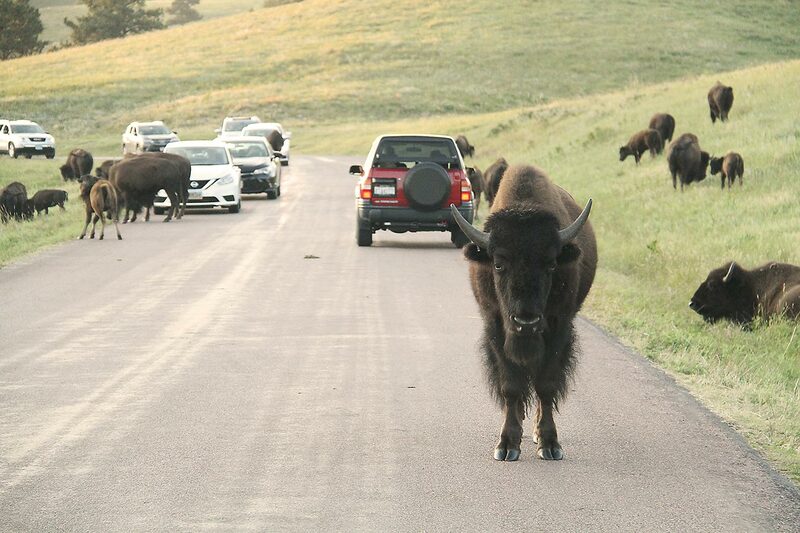 South of the presidents memorial, Custer state park is home to the biggest herd of bison, 1300 roam the hilly grasslands of the area. 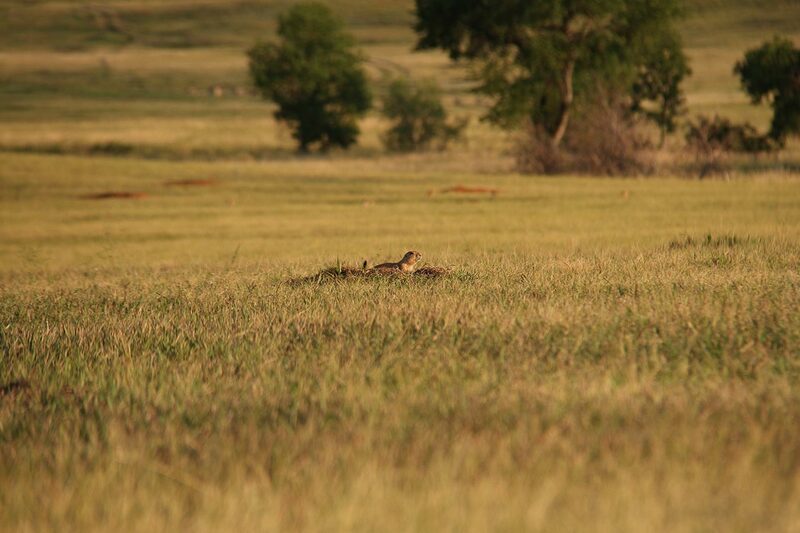 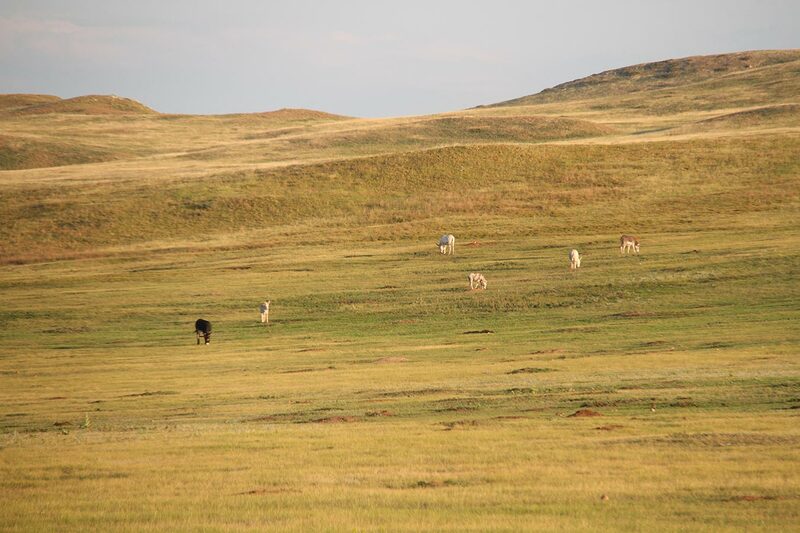 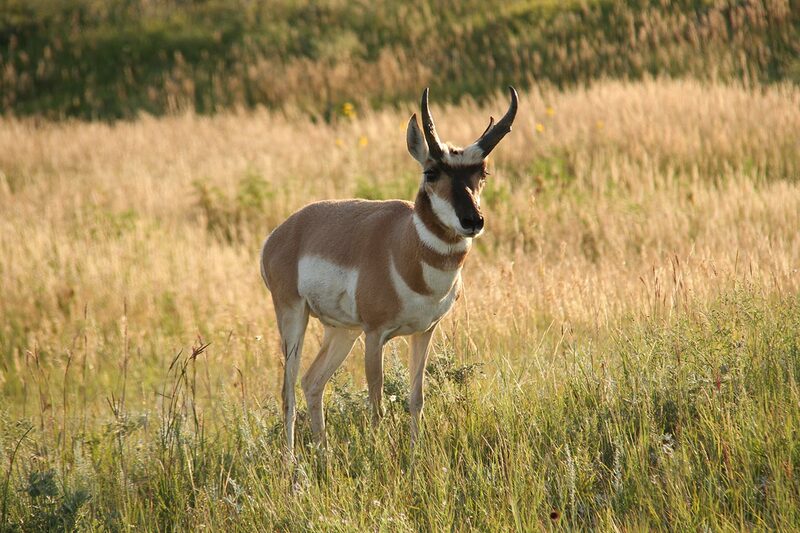 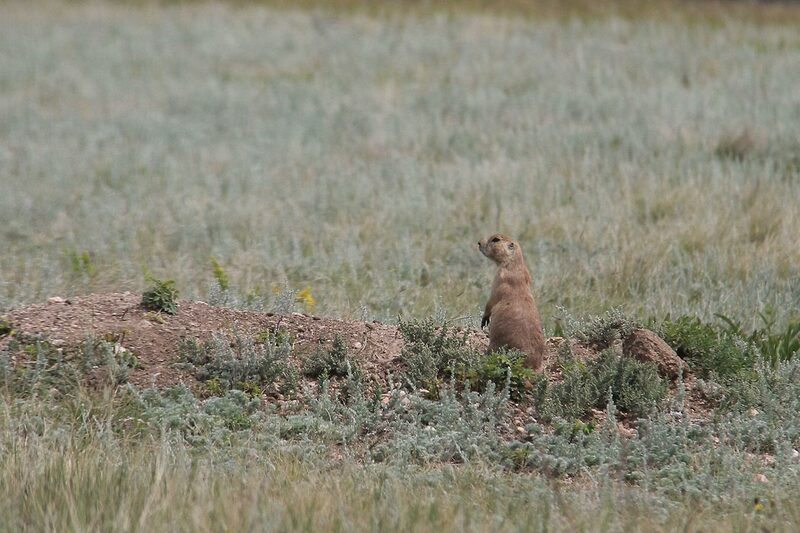 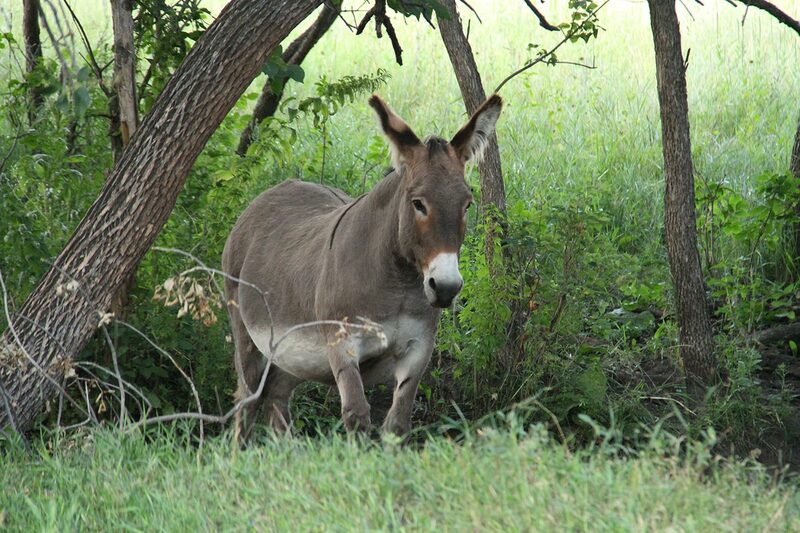 We drive the wildlife loop road to see them, and we also meet burros (donkeys), Pronghorns, White-tail deers, and plenty of prairie dogs. 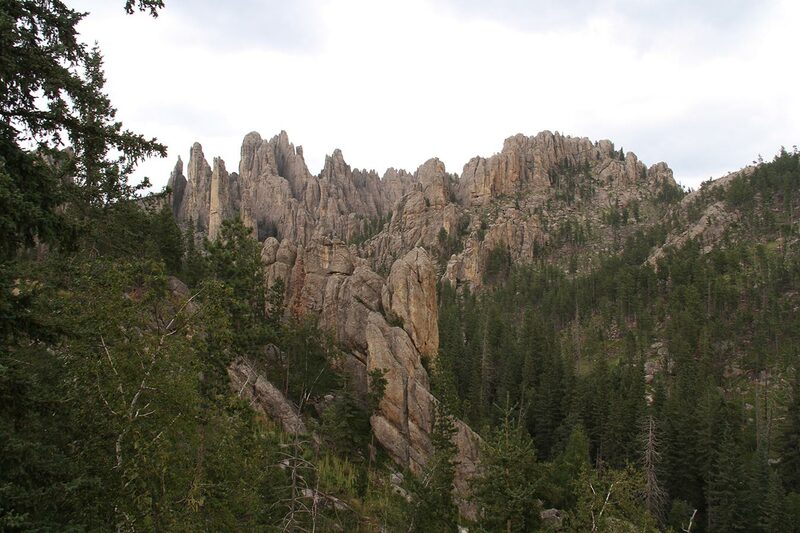 On a third day in the Black hills we drive to the northern part of it. 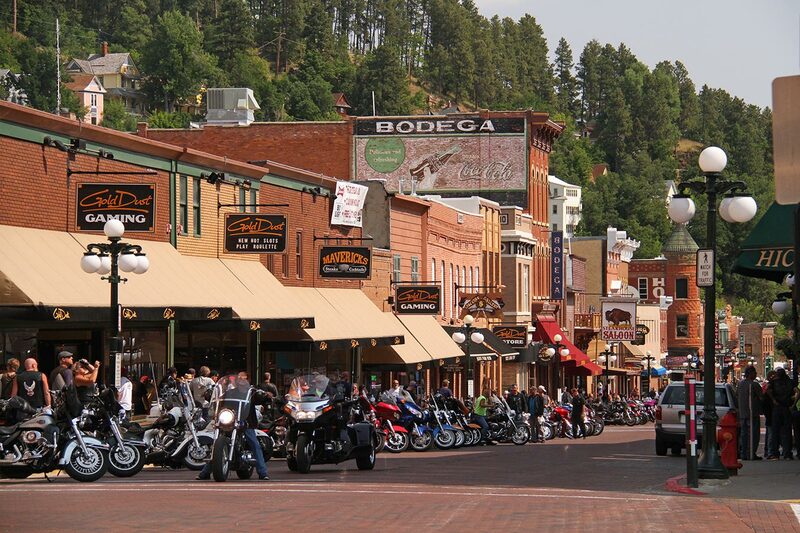 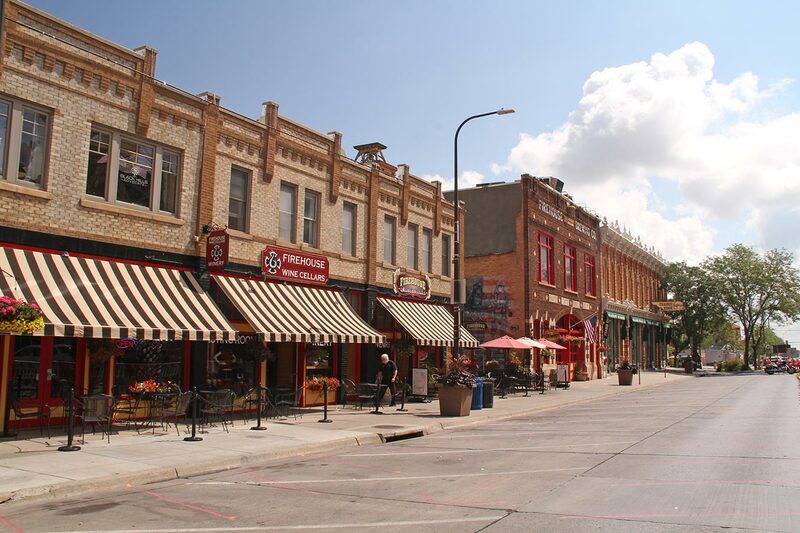 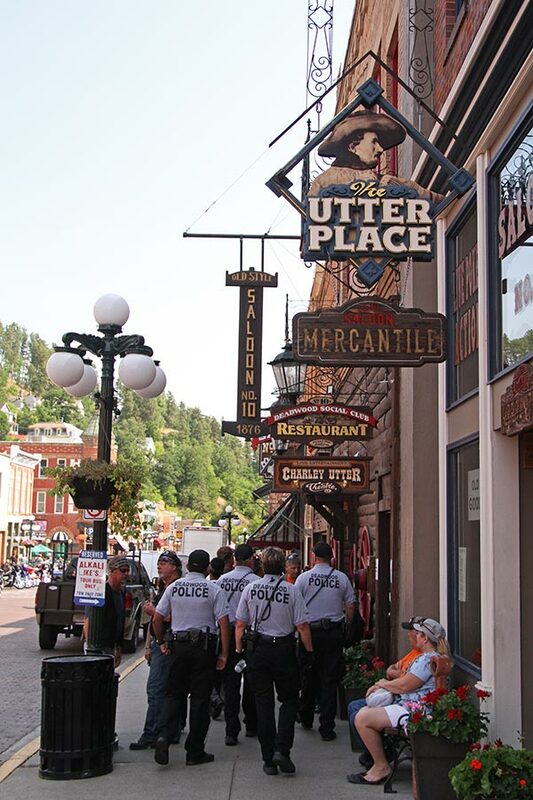 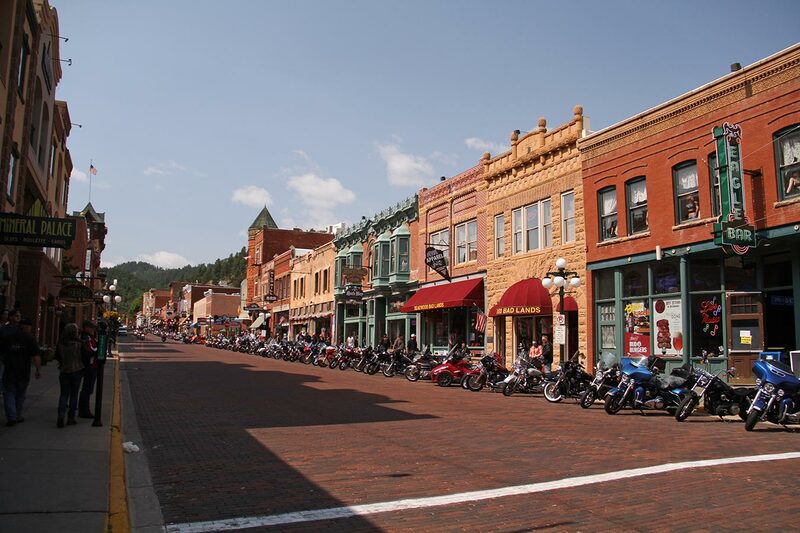 Deadwood (made famous by the HBO series) and Lead are sister cities born during the Gold Rush era. 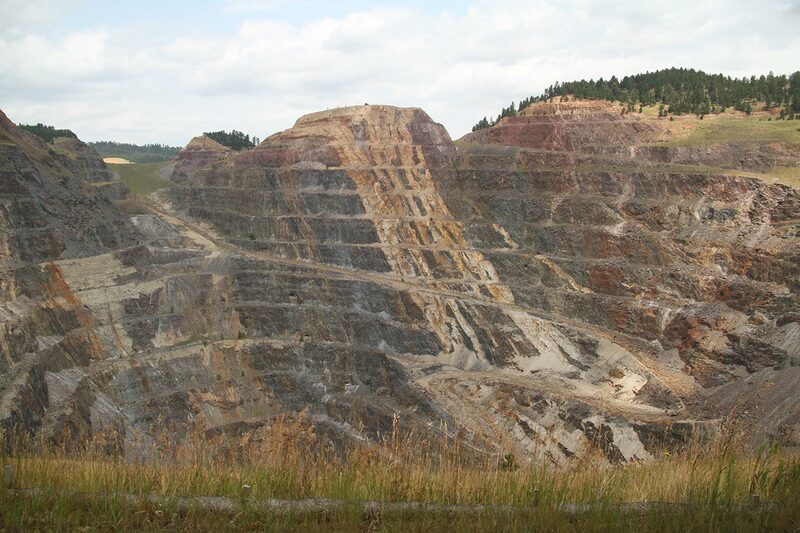 Lead sits on the biggest mine in the Western hemisphere. 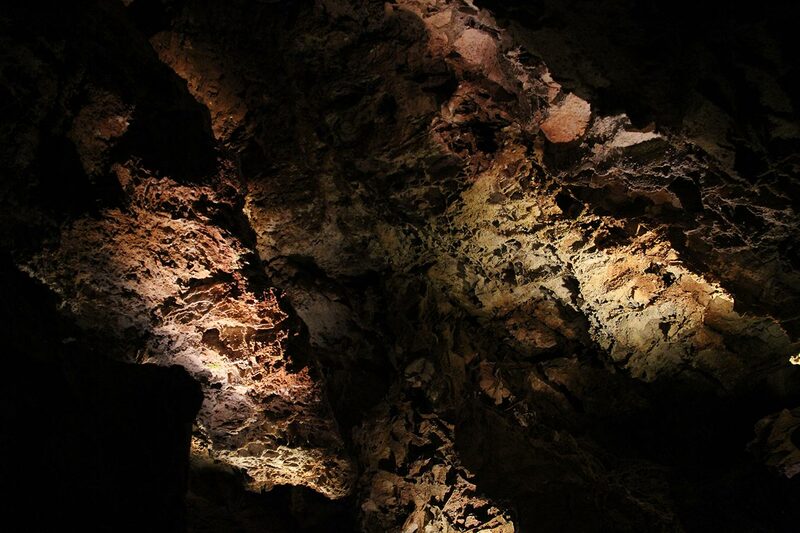 Going more than 2.4km deep, the mine extracted gold and silver until 2001 when it closed. 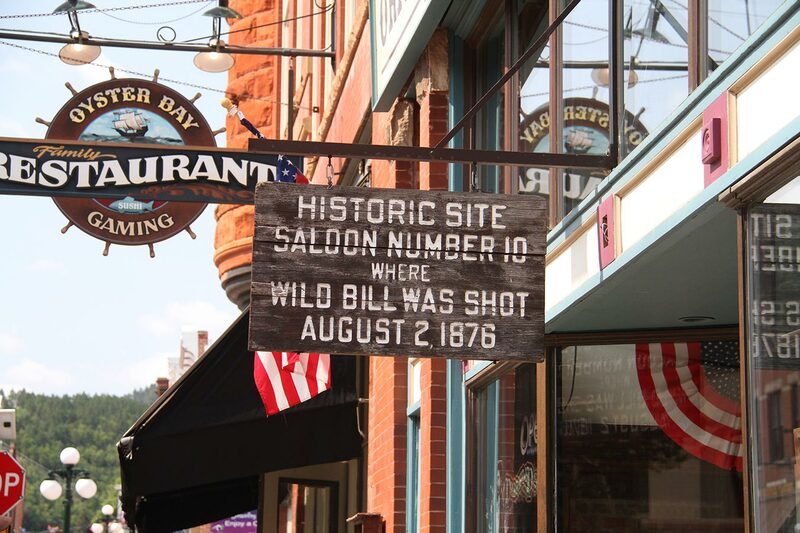 Deadwood just next door was where miners would have fun drinking and gambling at the many saloons, theaters and brothels. 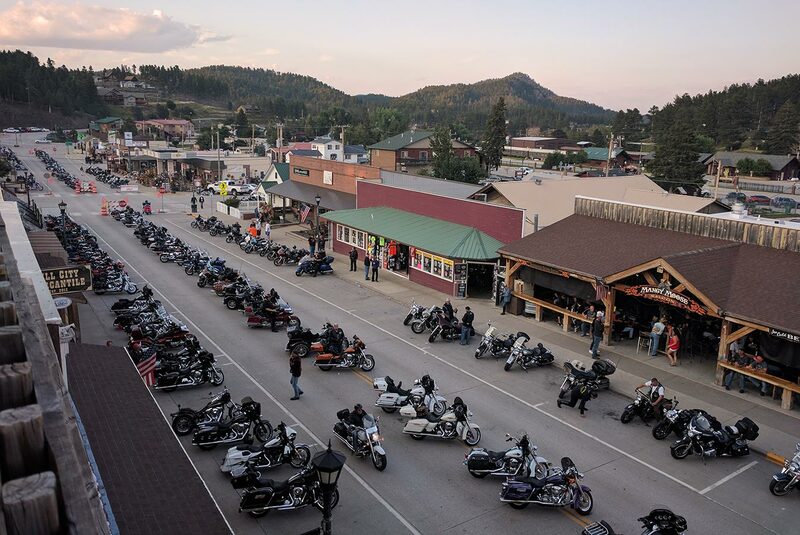 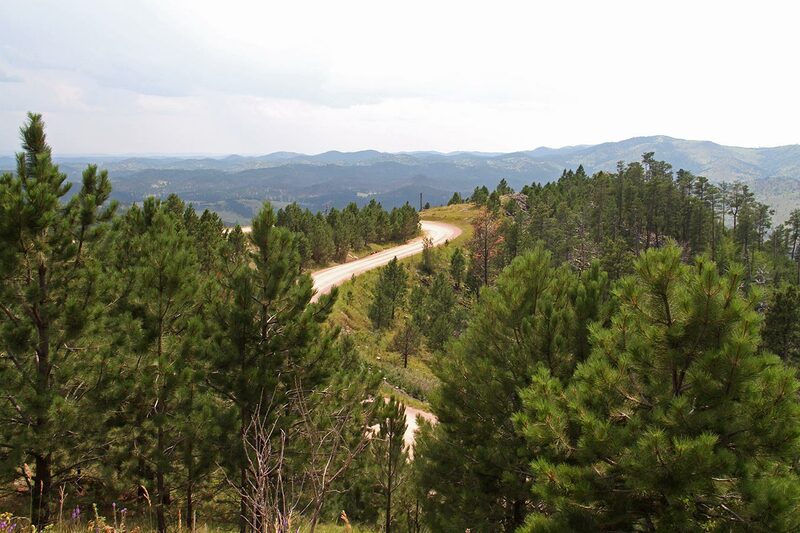 During our whole visit of the Black hills we shared the road with bikers, thousands of them. 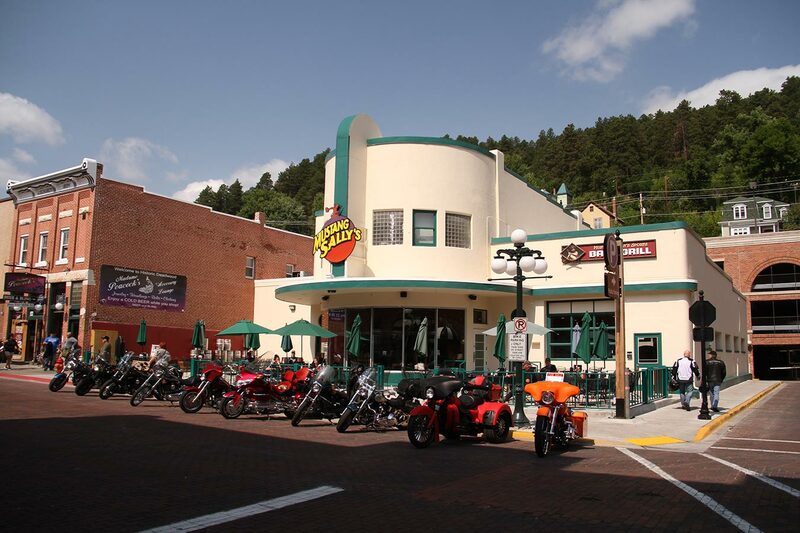 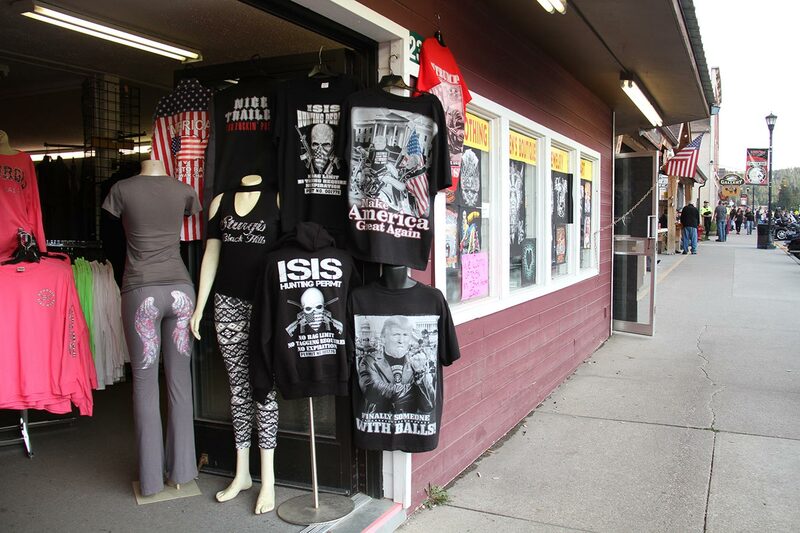 We happended to be in the area while the 77th Sturgis (a town of the Black hills) rally was on. 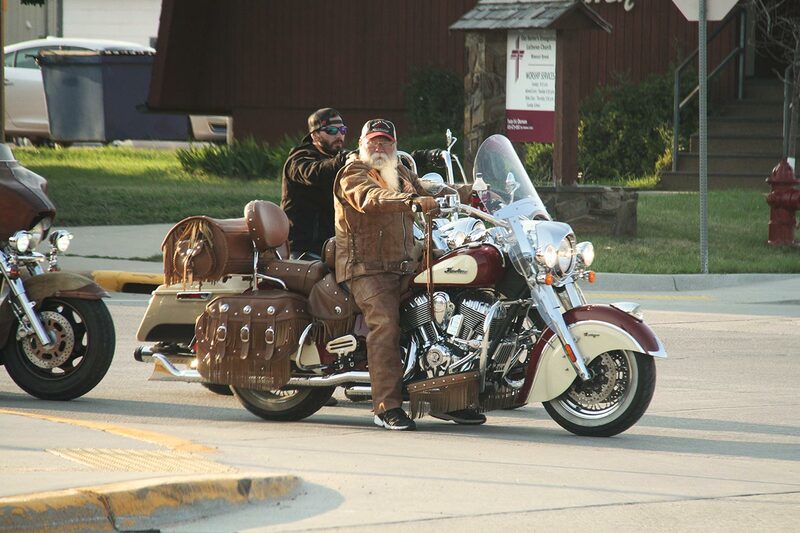 500 000 riders come each year and make it a holiday rolling around the area. 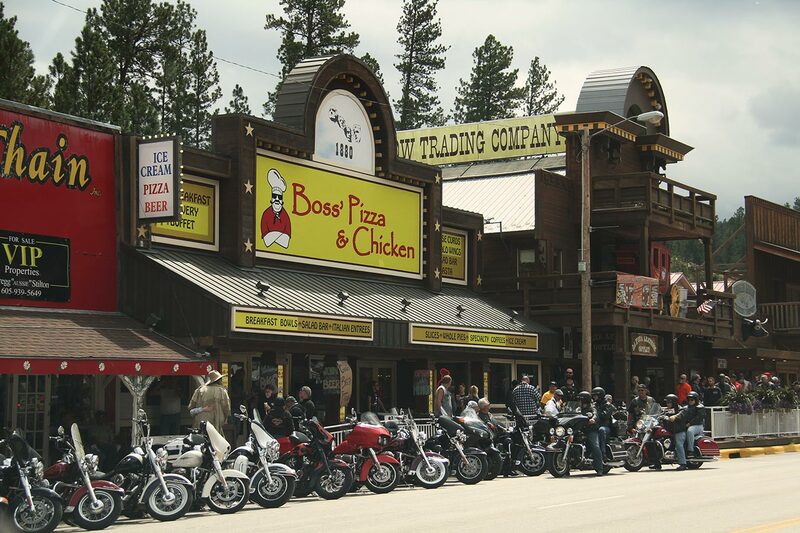 We’re talking Harley Davidson bikes, the kind that blast your ears from the other side of the mountain. 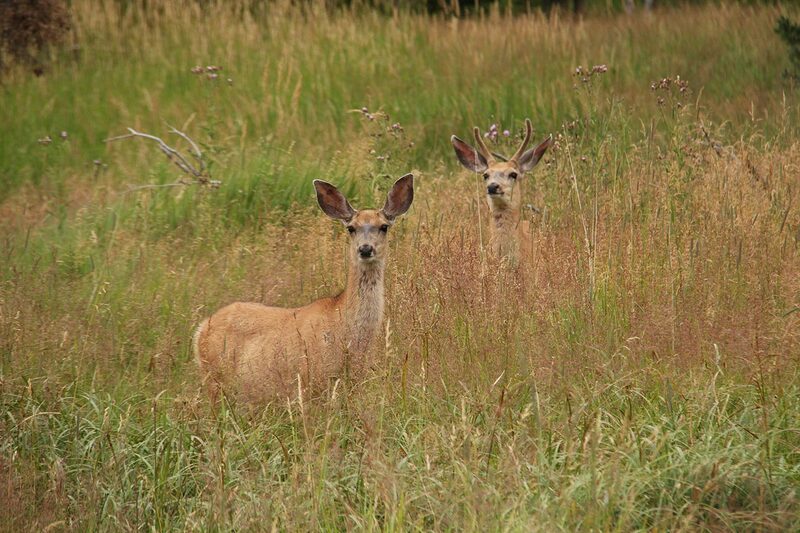 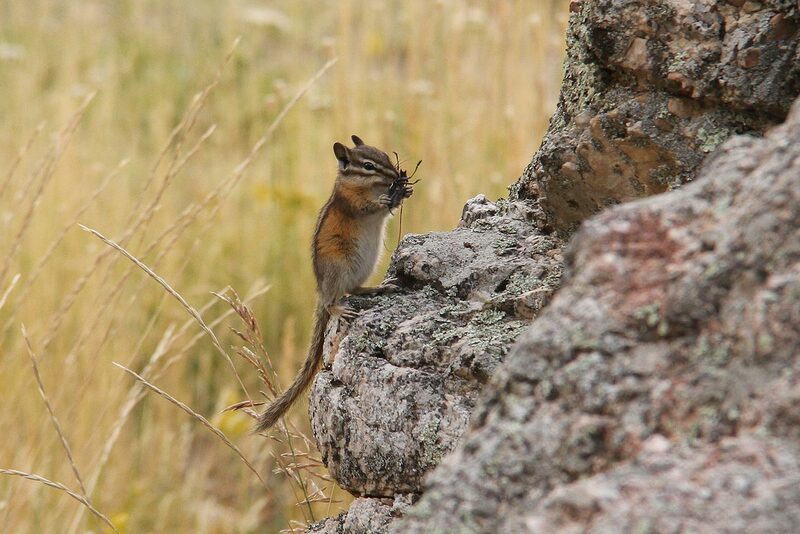 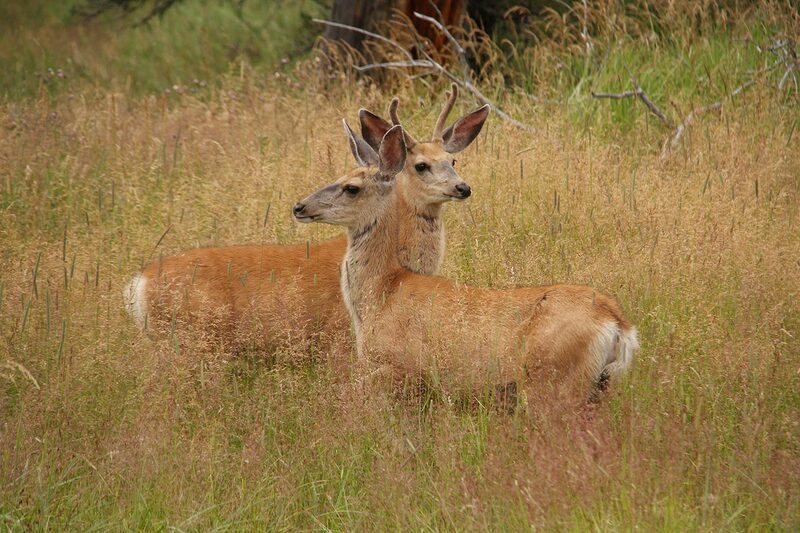 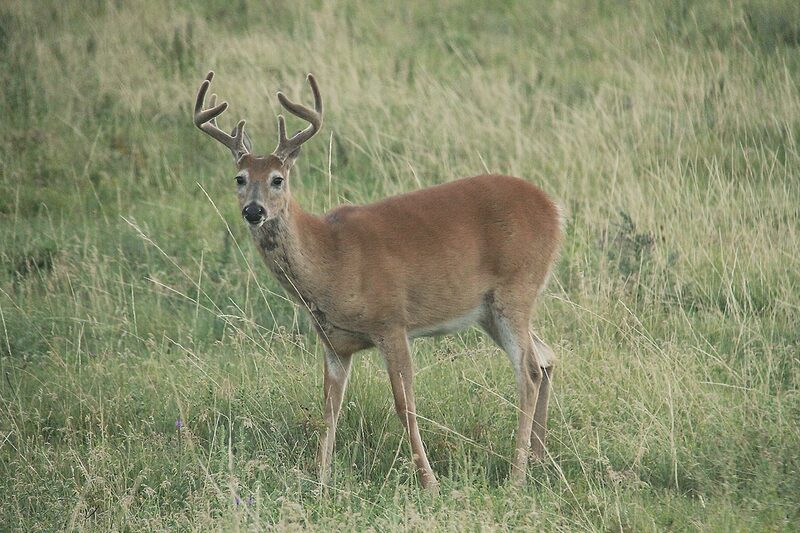 We’re lucky we saw wildlife with all that craziness! 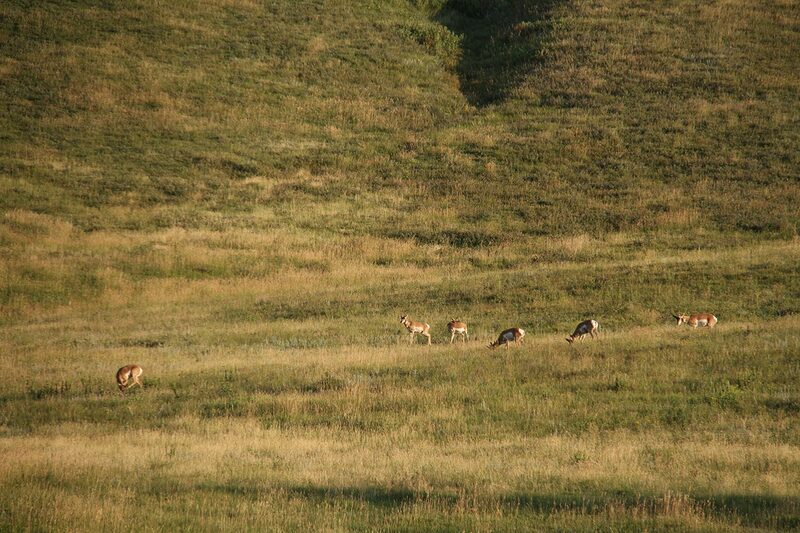 The benefit is (other than some interesting people watching) that everyone avoids the area at that time, so at least there’s less RVs around.